Toronto, March 19: As exiled Tibetans marked the anniversary of the Dalai Lama’s escape from Tibet under Chinese rule, the spiritual leader seems to be preparing his followers for the coming future where he may no longer grace the Earth. Referring to such a time, the Dalai Lama said, "China considers Dalai Lama's reincarnation as something very important. They have more concern about the next Dalai Lama than me," said the Dalai Lama, swathed in his traditional red robes and yellow scarf. "In future, in case you see two Dalai Lamas come, one from here, in free country, one chosen by Chinese, then nobody will trust, nobody will respect (the one chosen by China). So that's an additional problem for the Chinese! It's possible, it can happen," he added. 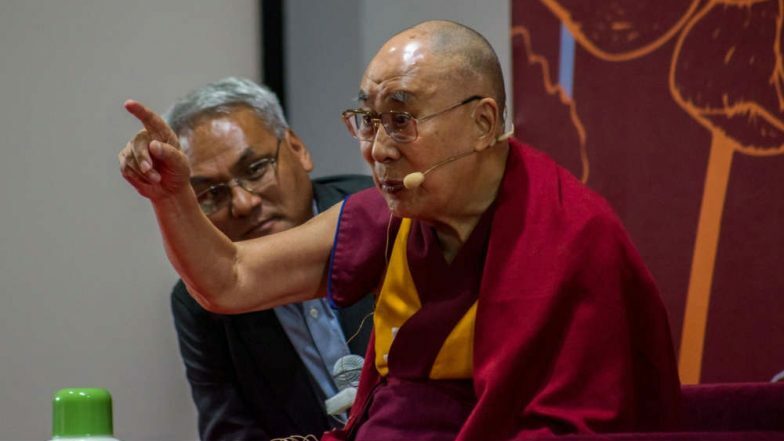 The Chinese government has labelled the Dalai Lama a dangerous separatist, for the Buddhist spiritual leader’s work to highlight Tibet’s plight under Chinese Communist rule. The Communist government in China has also worked to bring the various Buddhist schools in the country under government control and rejected the original Panchen Lama, selected in 1995. The Chinese government then appointed its own Panchen Lama. This Panchen Lama is the second highest leader in Tibetan Buddhism. The current Dalai Lama is the 14th one and his line of succession is based on the belief of re-incarnation. At the age of two, a child named Lhamo Dhondup, was recognized as the reincarnation of the previous 13th Dalai Lama, Thubten Gyatso and was named the 14th Dalai Lama of the Tibet’s Gelug school of Buddhism. The Dalai Lama also spoke about continuing the role of the Dalai Lama after his death, including whether to keep it. He said this matter would be discussed during a meeting of Tibetan Buddhists in India later this year. "If the majority of (Tibetan people) really want to keep this institution, then this institution will remain," he said. "Then comes the question of the reincarnation of the 15th Dalai Lama." The Dalai Lama also stated that his successor would still have "no political responsibility", as he gave up his political duties in 2001. He encouraged the development of a democratic system for the close to one lakh Tibetans living in exile in India.